Yeah, it’s here, it’s here at last. 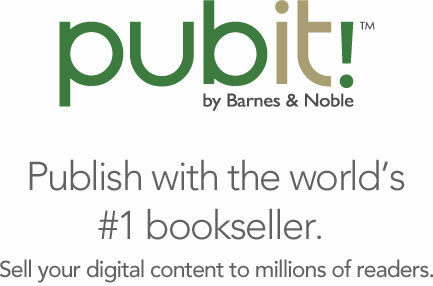 Pubit by Barnes & Noble is finally coming this summer 2010 which means Indie authors like you and me can upload our ebooks to the bookseller and sell ebooks. Hooray! Except wait… my ebooks are already on Barnes & Noble. They have been for months (see here and here and here). It’s a little thing called Smashwords.com that gets my ebooks formatted into every format (epub, mobi, lrf, pdb, etc) and sells ebooks with 85% royalties to me and they also get my ebooks into Barnes & Noble, Amazon, Apple’s iBookstore, Sony and Kobo. It’s also a free service. So should I be excited about Barnes & Noble’s Pubit or just kinda ho-hum? I guess it’s sorta exciting but since I’m already there, maybe not so much. The skinny on Pubit is that it will sell ebooks in epub format (good for Nook, iPad and many readers but not that Kindle thing from a major competitor). Authors will probably get a 70% royalty which seems to be the evolving standard with major retailers as Amazon moves to 70% this July and Apple is already there. Ebooks will be encrypted with DRM (Digital Rights Management) which fights piracy and has plenty of controversy already. Customers will be able to browse ebooks in their entirety in the store (not at home obviously) just as they would be able to browse a paper book. I went ahead and signed up for notification when Pubit is ready. What the heck, let’s see if authors can get double shelf placement and determine if the sales and royalties are better with B & N directly or with B & N via Smashwords. Some final thoughts. What took B & N so long to make this decision? Maybe a little something called Apple’s iBookstore or Google Editions or that darned competitor Amazon Kindle just made them feel like they were missing the boat. Even though they weren’t. Hmm…sorta like a paradox. Oh well, time to sell the ebooks. As usual.